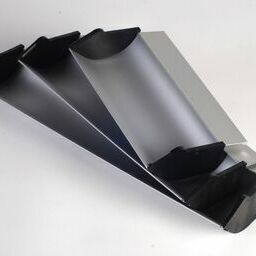 Anodised aluminium coating trough / scoop coater supplied with plastic end caps. Easy to use. Easy to clean and the end caps do not fall off! Coating Troughs cut to any size.